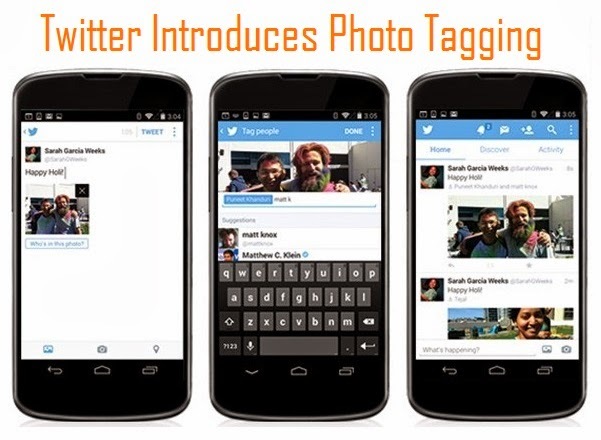 The largest micro-blogging network with social network abilities is now offering its mobile users to tag people in photos and upload up to four photos in a single tweet with an option of a collage. Twitter announced in a blog post that this feature is making Twitter a “more social” platform for iOS and Android app users. How to tag people ? If you want to tag someone in an uploaded image, simply tap ‘Who’s in this photo?’ and type in the person’s Twitter username only. Tagged people will receive a notification. If you want to change notifications then you can go to Settings and do the changes. How to share a photo collage ? If you want to share a photo collage, tap on a preview to get the full image and slide through the group. The good news is that the multiple photo feature started rolling out Wednesday for iPhone users, and is “coming soon” to Android and the Web gradually.